YAAASSSS. So remember when I made gnocchi and bought a huge bag of potatoes from Costco? There is only so much gnocchi one can consume, so I had to think of something else to make. Being from an Asian family, we didn’t eat too many potatoes so I looked to pinterest for PIN-speration. 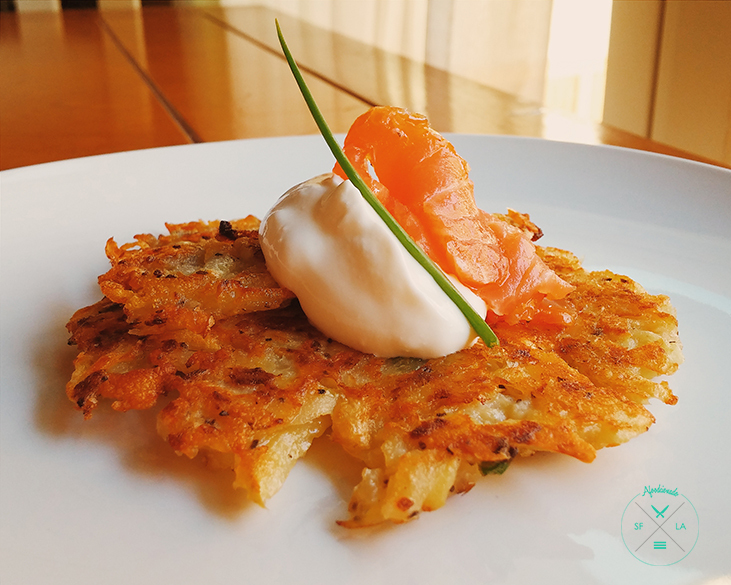 I always wanted to make latkes, and I had all these other ingredients that I decided to throw into the mix because why not? Green onions. Good. Here is the recipe that I based my recipe off of, and I will share my tweaks after! I used golden potatoes instead of Russet potatoes, I squeezed out as much of the liquid as possible. I used regular Bakers flour instead of matzo meal. I added about two stalks of green onions, chopped. 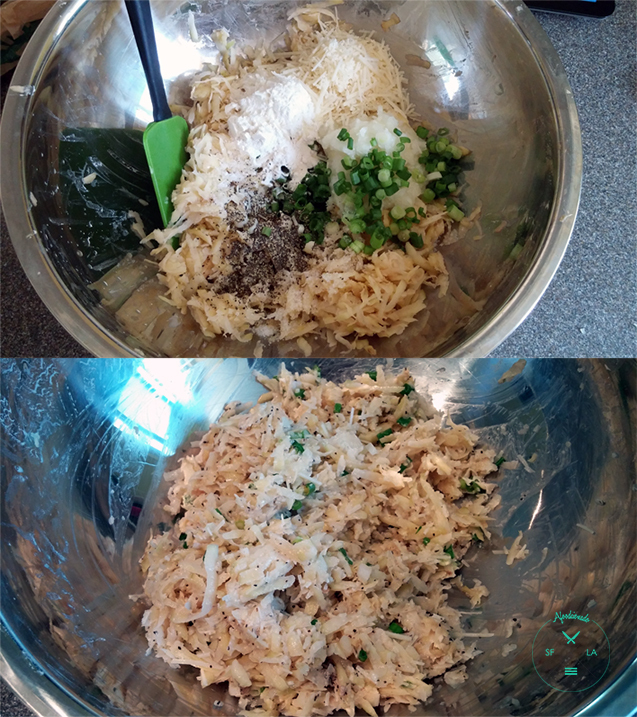 I added about a 1/4 cup of shredded parmesan cheese. 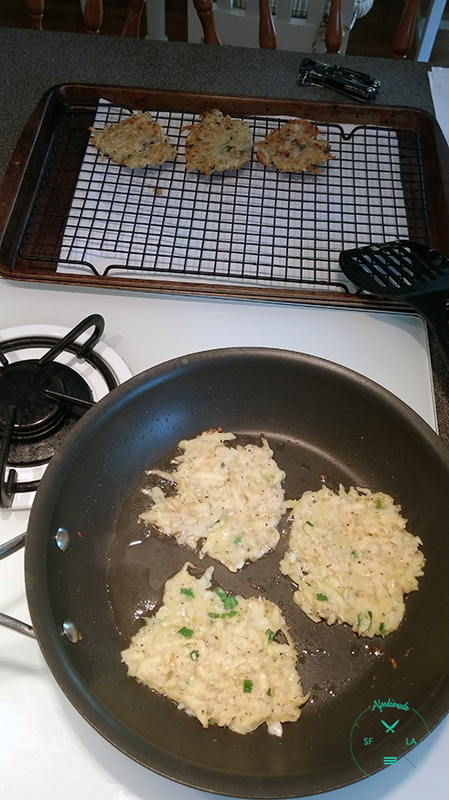 I wanted the latkes to be crispy and thin….so I made it so!